If you have a creative dog, you know how difficult it can be to find a fencing solution that keeps them on your property. Sometimes dogs just want to escape the confines of their yard, but it’s our responsibility as guardians to ensure our pets are within our control at all times – even those times we’re not physically with them. Here are five ways you can fence your yard and the costs, the benefits and the dangers of each. Your Pets: Ultimately, your pets will dictate what type of fencing you need. 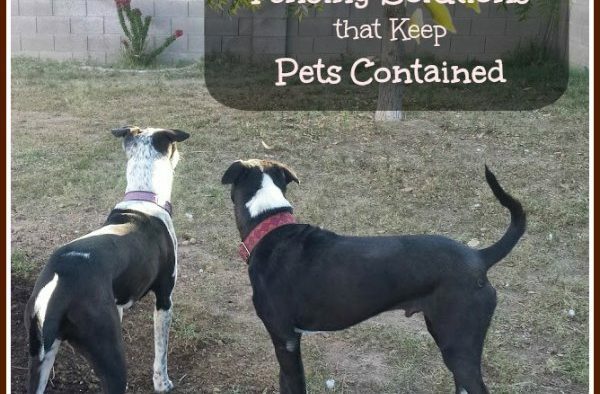 Are you trying to keep your dogs in or coyotes out? A block wall won’t help. 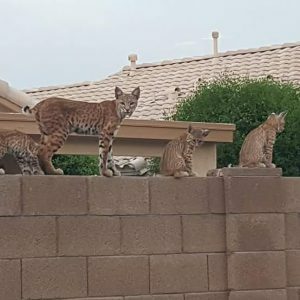 Are you trying to keep cats in the yard? You may need to look at specialty fencing. Is your dog small, but a fierce digger? Time to explore footers. Geography: The type of fencing you ultimately select should be based on your geographical region. HOA guidelines can seriously impact your choice of fencing as well as the height. If you rent, your landlord may also limit the type of fencing available to you. Do your homework before bringing home expensive fencing kits. Weather: You’ll also need to consider your weather. If you’re in an area with lots of weather, you’ll want to consider installing a more durable type of fencing. If you live in an area with snow, the snow can pile up near the gates and provide a near perfect way for your pets to escape. Your budget: Fencing is not cheap – but you shouldn’t have to take out a loan to keep your dog contained. We’ll show you how to utilize a few tricks to lower the costs of materials and installation. Pros: Widely accepted among neighbors. Elegant and solid when properly installed. Dogs can’t chew through it. Lasts forever. Cons: Expensive (primarily high labor costs). Large dogs and most prey can easily clear block walls and may use as a super highway system in urban areas. This is our favorite type of fencing, but that could be because we’re based in the Southwest and block fences are the most prevalent types of fences down this way. Your block wall should be at least six feet tall and installed by a professional to avoid any strong winds blowing it over. We personally favor the block fence. But remember that walls aren’t as much of a detriment as you may think <cough, Mr. President, cough>. Here are some animals who understand the futility of walls better than most people. 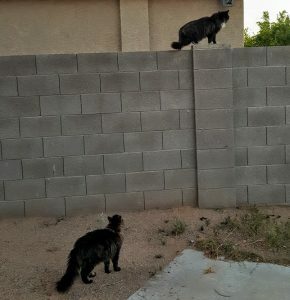 Cat on wall demonstrates fencing fail – here are some fencing solutions that work. 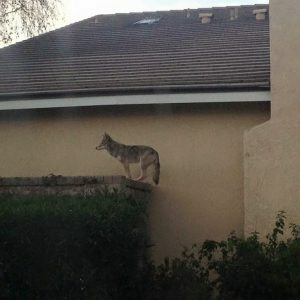 Coyote on wall demonstrates fencing fail – here are some fencing solutions that work. 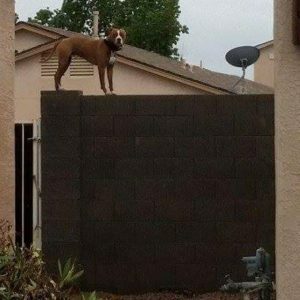 Dogs that are active jumpers will not be contained by a block wall. The flat top level gives them something firm to grab hold of and balance on top of, so be sure you do your homework and understand your pets if you’re planning to install this type of fencing. See our article on how to install coyote rollers for more information. When installing, be sure you include drainage holes for water to escape your yard, otherwise you could flood your yard. You’ll also want to make sure you install footers so dogs don’t dig their way out (particularly if you have a “denning” like a wolf hybrid, or a “tunneling” dog like a terrier). Pros: Relatively inexpensive and historical favorite. Widely accepted among neighbors. Reliable when properly installed. Cons: Relatively inexpensive (primarily high labor costs). Larger animals can’t easily jump wood fences as there is nothing to balance on. High-maintenance as it frequently requires sealing, replacing panels and painting. Some dogs can chew through or remove panels easily. Wood panels can make an excellent fence and do a good job of establishing barriers around your home and yard. Most fencing comes in 6- or 8-foot panels that are between 4′- 8′ feet tall. Always go for the taller fence when selecting one to keep pets in a yard. You can paint or stain your fence to make it more attractive, and you can provide barriers for pets so they don’t chew or bite their way through the wood. If you have a dog that jumps, you should consider installing a roller. This is an inexpensive way to keep your pets indoors and coyotes out – when the animal jumps up to clear the fence, the theory is that they will grab the roller, which will then “roll” them back into (or out of) the yard. (See example of installing rollers below). Cons: Fairly expensive. Larger animals can’t easily jump wood fences as there is nothing to balance on. High-maintenance as it frequently requires sealing, replacing panels and painting. Some dogs can chew through or remove panels easily. This is an excellent solution for pets who chew their way through wood, but still provide a cost-effective method of keeping your pets in the yard. Composite fencing usually consists of vinyl or other durable material, they make sturdy fences that can last a very long time with little to no maintenance. When using this type of fencing, be sure to add footers and rollers if you have dogs who dig or jump. Pros: Widely accepted among neighbors. Reliable when properly installed and almost no maintenance needed. Very durable and will last a lifetime. Cons: Very expensive. Larger animals can easily jump and small animals can fit through panels. If you have a highly destructive dog who chews his way through every other type of material, a chain-link or decorative metal fence may be the solution. Available in a variety of colors and styles, decorative metal or aluminum fencing is easy to install. Watch for the “no dig” symbol while shopping – this indicates that footings are included in the fence kit. Pros: Inexpensive and simple to remove. Cons: Largely ineffective to keep larger dogs contained. Alas, it’s not as effective for keeping pets contained. These fences are generally quite short, so even smaller dogs can jump it or easily escape between metal work. This is the least attractive, but most affordable, way of keeping your pets contained. Usually this type of fencing is used to keep pets out of garden areas, but when it’s used with rail fencing, the welded wire can be a very economical way of containing pets. This is especially important when you’re using it in a large area. Be sure you understand that your pets can tunnel under or jump over this type of fencing and make other arrangements as needed. Pros: Inexpensive and easily transportable to new locations. Generally accepted by Home Owner Associations (HOA) – check rules for height limits. Reliable when modified and almost no maintenance needed. Very durable and will last a lifetime. Fully enclosed kennels are excellent ways to build a cat enclosure in your backyard, use as a temporary holding area for pets, or combining with a pet door to create a safe area for your smaller animals to potty at night. Kennels can be purchased individually to create an extra long run, or purchased in a kit. My personal favorite for large dogs is the galvanized steel setup (pictured in the middle). In our case, we combined to large galvanized steel runs and enclosed the top with a third. Footings help keep the kennel stabilized and avoid any animals burrowing in. We cut a hole in one side to allow easy access through a doggy door in the house. Our cats and dogs now enjoy a perfectly safe environment with easy indoor/outdoor access at any time of the day. This consists of a welded wire that wraps around the fencing to extend up to three feet along the bottom of the gate. When the dog digs, he winds up digging against the wire and is quickly frustrated by his efforts. You’ll need to exercise caution when using this type of footer as your dog can easily tear a nail or injure his foot by obsessive digging. It’s a very effective method of containment for wolf hybrids and other digging breeds. This is one of the best sites we’ve found on installing L-footers. (Image courtesy of WolfDogProject). This is the method we used when we had to figure out how to keep Tristan, our coyote-wolf hybrid, in our yard. Simply dig a hole along the fence line (we made ours about 1 foot deep), pour in a layer of concrete and let it harden. Simple, but not easy, as it was a lot of back-breaking work. However, it’s highly effective as it makes for a much stronger fence line, and it kept our escape artist dogs from burrowing out. If you have wolf hybrids, or any of the Northern breeds, you may want to make the footers a bit deeper. This isn’t really a footer – in fact, in a well-built fence, it should just be part of your fence line. Just attach a solid piece of pipe (rebar, etc.) along the bottom of the fence. 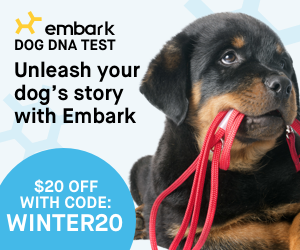 In effect, it ensures your dog can’t squeeze out underneath. This is a fairly practical alternative for a “mild” digger, but it won’t keep a wolf hybrid or Jack Russell Terrier contained for long. Like I said, it’s something that should be incorporated into your original fence design anyway. I’m updating this article to include a product I just learned about this year. It’s called Dig Defense. These are pretty amazing footers that you can add to any existing fence to keep dogs from digging out. You can also remove them before your next move and take them with you. We’ll be telling you more about this product soon. We have an entire section on keeping pets safe from coyotes. and another entire section on learning to live with bobcats. It’s so important that we are mentioning the rollers once more so you don’t miss it. You can either install your own roller fencing to save money, or you can work with an established brand to have it installed (or order the kit). One that we have found is called “Coyote Rollers” and it is a great way to safeguard your yard. Purrfect Fence: We have information on this nearly invisible fencing here. This setup may or may not help keep wildlife from your yard, but it certainly helps keeping pets in the yard. Assuming a wild animal were able to utilize the spring loading mechanism to enter your yard. At that point, he would be stuck in the are with your pets, and that would not be a happy ending for any of the animals. If you’re more concerned about keeping wildlife out of your yard, reverse the recommended install. If one type of fence line is not working, change over to a different type. For example, if your dog knows how to easily escape a chain link fence, consider putting up a block fence or installing a roller bar over the chain link. Some dogs jump the fence because they are being teased by neighbors, another animal, or just because they can’t stand to be locked in. Consider blocking the view by changing to a block wall. Some dogs jump the fence because they hear or smell things, but can’t see what it is. We haven’t tried these PetPeek Fence Windows , but they do look interesting for the dog who feels a need to see outdoors. If you have a digger, you’ll need to install footers. They are easy to do, inexpensive to install, and there are many variants on how to do it. We hope that this article helps you keep your pets in your yard, but if not, we have even more ideas. We’ll be posting them as we come up with them!